Last winter it snowed like crazy. From November through sometime in early spring there was never a point at which the snow all melted. I thought I'd lose my mind. Winter just seemed never ending. Imagine my disgust yesterday when I heard the weather guy say this winter may turn out to be a worse winter than the last one. That's so not what I needed to hear. If I could I'd have slapped him. Blaming the messenger and all that. In an average winter we see up to 39" of snow. It's January 10, and we've already seen 33". Winter in Chicago can last through late March/early April – though admittedly the possibility of snow starts diminishing in early March. Still, doesn't bode well, does it? I thought you'd say that. It's been snowing here since the wee hours yesterday. The roads are awful - slippery and treacherous. 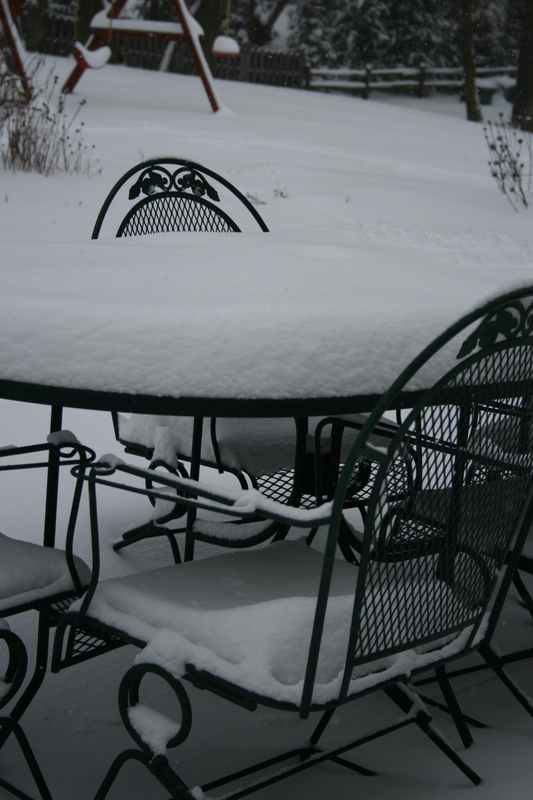 By some estimates we've gotten as much as eight inches. I made it down the driveway (we live on a steep hill) this morning, gravity being a ubiquitous force, then slid my way to my doctor appointment. For any other appointment I'd have been struck down with a mysterious, and possibly deadly, strain of the flu. But for her? What's a little risk of life and limb. I also made it to work for the hour and a half I had to make up from leaving early yesterday, when I went to help out at my 5th grader's holiday party – the one that had been cancelled due to a snow day the last day before holiday break. 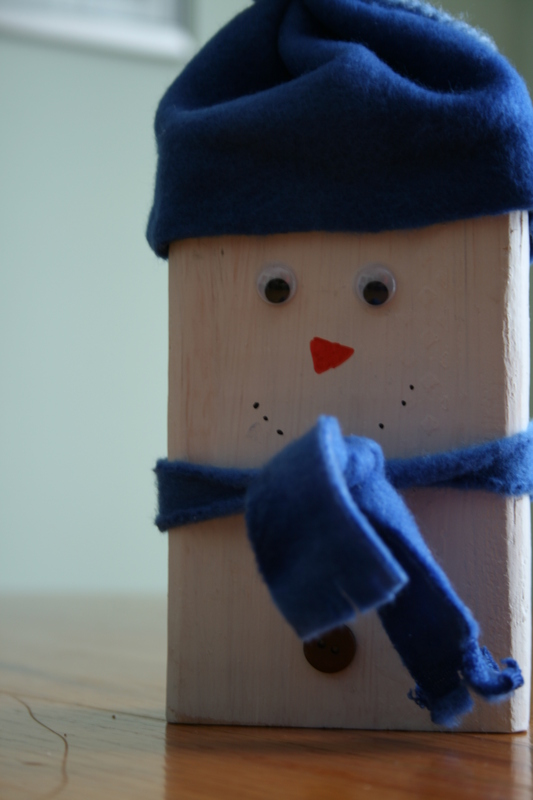 The snow day that almost made my children get religion. It was a blessing from beyond. Getting an extra day of holiday break? Priceless. We're expecting more snow today, tapering off sometime before 6:00 p.m. Oh joy. I love Chicago! People, Meet My Spring Semester. Spring Semester, Meet The People. 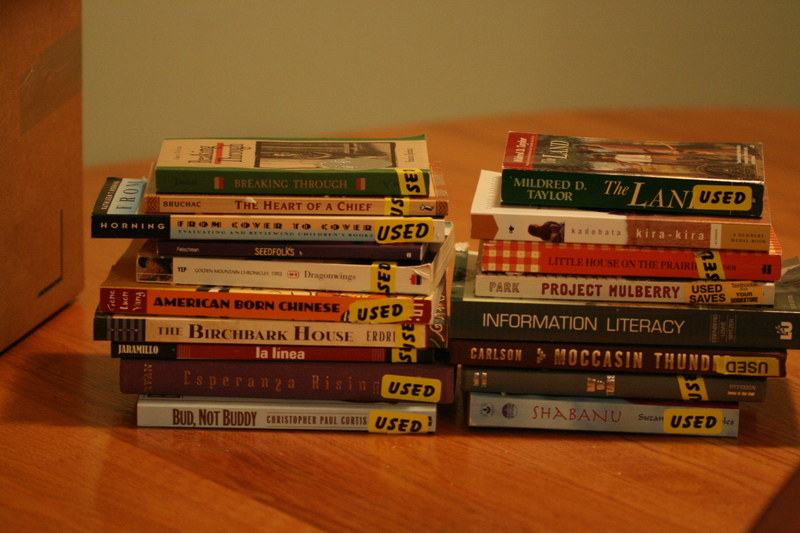 This pile, plus a couple text books and another novel or two, are what I'll be reading over the spring semester. If idle hands are the devil's workshop, I'm guaranteed to be an angel. 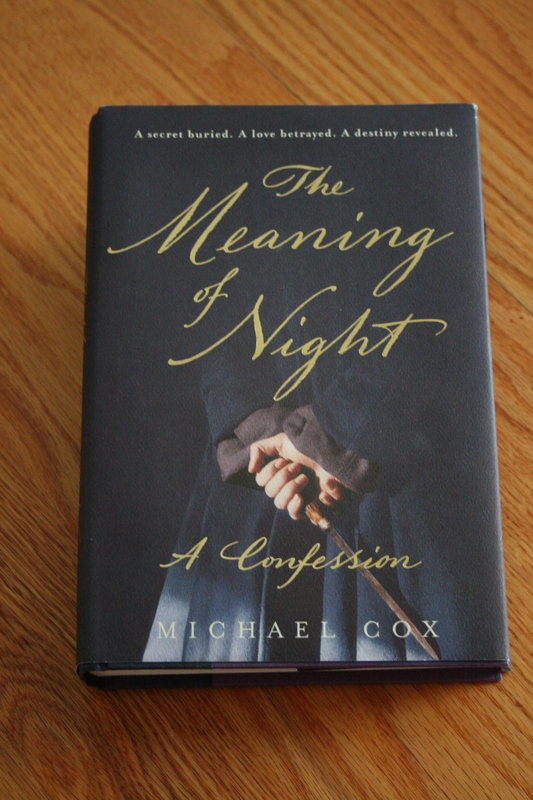 I continue to be absolutely enthralled by Michael Cox's The Meaning of Night. I sneak off whenever I can to read a chapter or five. His writing is just flawless. Did I mention I love insane characters? This one's insane, paranoid and more than a bit selfishly delusional. Luscious. The pressure's on to finish before school starts. Another book I'm working on – this one nonfiction – is less enthralling. 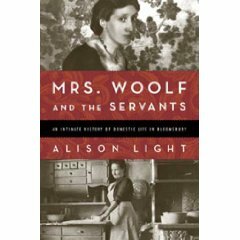 I interlibrary loaned Alison Light's Mrs. Woolf and the Servants, hoping for some new insight into the life of one of my iconic writers. While some of the information is well done, like the lovely description of the Stephen home where Virginia grew up, it's a bit loose and rambling. Actually, a lot loose and rambling. And most of the material has already been covered in Woolf's own diaries and letters. The best target audience would be those with an interest in Woolf who haven't read much about or by her. And those fascinated by the servant class in the late 19th/early 20th century. It's not a bad book per se. It just doesn't rivet me, and the writing's not the best. I hate to disagree with Michael Dirda (review on Amazon page), who raved about the book so madly. I almost want to start it over again and see if I'm not wrong about it. But it's just not flipping up my skirt. Maybe it's due to the juxtaposition of reading it at the same time as Cox's book, which is so, so darn good. Hopefully I'm not doing Light a disservice. A little weather, a little grad school and an up to the minute account of my reading. I warned you it was miscellaneous. My brain's tired from having blogged so regularly over the past couple of weeks. I'll put its legs up today and let it rest, maybe putting it on ice. Then maybe it'll be worth something next week. But don't take that as a promise. Thanks for the warning about Mrs Woolf and the Servants. I’m a big Woolf fan but consequently, having read all the volumes of the diaries over the years, I probably don’t need to ‘waste’ time on this. Waste sounds a dreadful word but with so many other books out there to be read that’s what a non-starter would be. Thank you for the Michael Cox mention–last night I was in Large Chain Bookstore and saw it and kept going back to the table and feeling a great attraction–but this is the Year I Do No Spend Money–but perhaps I should do my part to keep the authors in business. I’m going to get it to join the two Twin Peaks: Mount TBR and Mount TBRR (to be re-read). Previous Post The difference between a fishwife and a fish widow. Next Post How are the resolutions going?